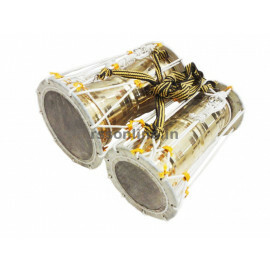 Melathalam is an Indian musical instrument which has a great importance in our culture. 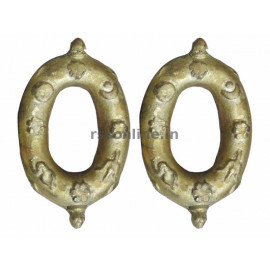 Melathalams are used in all functions and played manually and individually. Raja melathalam is a mechanized one. Raja melathalam has one murasu, two bells and two sekandis. Raja melathalam does 5 artisans work at a time. 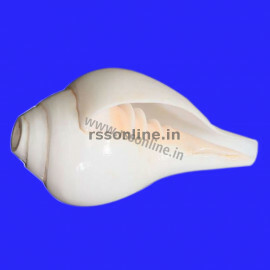 Raja melathalam ensures synchronizing of all to get the right rhytham. Raja Electric Drum and Bell had reached the Indian temples all over the world. 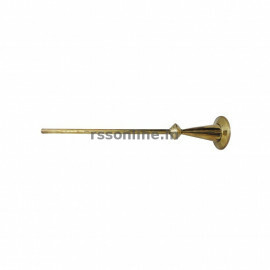 Raja melathalam is used for all abisegam, arthis and pujas in temples. 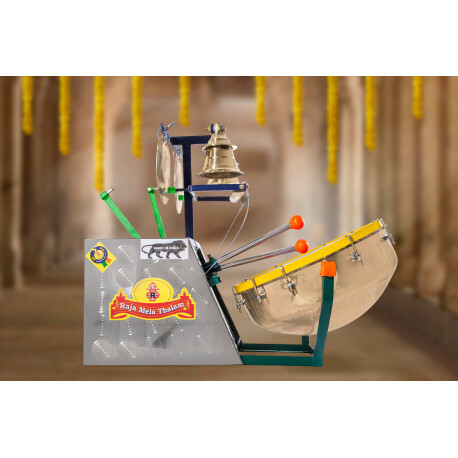 automatic drum and bell machine usage also helps to assemble all devotees and maintain silence. Automatic Arti Machine is produced in a state of art factory at Kanchipurmam, Tamilnadu. Main objective of this invention is to totally eliminate the man power required by electrically operating the device, which is totally automatic. 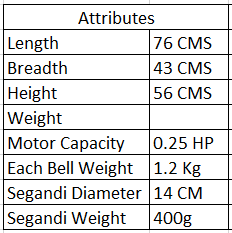 It is an integration of three units, disc shaped bells, conical shaped hanging bells and the drum, synchronized for operational activities, power derived from an electric motor. The drive mechanism is through a gearbox-pulley arrangement, belt driven by the motor. Gearbox assembly carries a set of gears, which in turn activate cams, striking harmony between the instruments. A lever, adjoining the gearbox assembly, carrying nylon chords on either sides, actuates the conical shaped hanging bells. The lateral movement of the lever is converted to linear motion by a nylon roller. 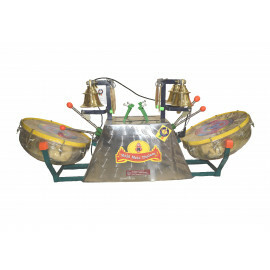 The hammers at either ends are actuated by cams, which strike the disk shaped bells, roller cams bolted to the gear body actuates the drum sticks, exerting a striking force on the drum. The conical hanging bells are supported on a tubular frame. 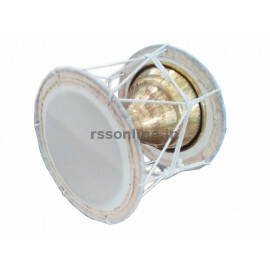 Raja automatic drum comes with a 2 years warranty. 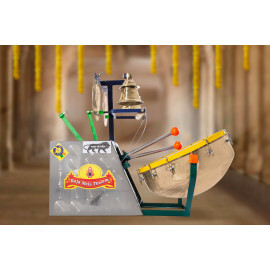 The auto drum bells often perch on ledges above or outside the garba griha, or the inner sanctum, their switches within easy reach of the priests performing the rites within.